Do you have moles digging in your yard and causing a significant amount of turf damage? Contact us here at Buckeye Wildlife Solutions. We can remove the offending moles in a professional & humane manner. We have a variety of techniques that we use for mole trapping. The most common method is utilizing our out-o-site mole trap. This trap will euthanize the moles on contact. There is no real way of ridding the moles from your yard without the use of lethal trapping. At times the mole removal process will take up to a month, or longer depending on the amount of moles in your yard. We usually cover our traps so not feral cats or other critters can tamper with the mole trap. Very rarely we have a fox come and dig out a trap which has already caught a mole, and it will take off with our trap into the woods. At least the fox gets a hot lunch out of it! Give BWS a call for mole trapping services in Columbus OH. Hiring a wildlife control business to trap & remove moles at first sign can help reduce the amount of turf damage they cause. Moles dig tunnels they use to travel back and fourth gathering grubs & earthworms. We control and remove these animals by setting the traps over mole tunnel runs. We also practice integrated pest management solutions in mole control. Small worms in the form of a rodenticide are placed inside the tunnels. The mole will consume it and die. Moles can tear up your yard! Mole removal is a specialty process in the wildlife control industry and it takes a lot of natural skill and practice to perfect. Here at Buckeye Wildlife Solutions we use mole removal tactics that are strictly used by professionals. We attend wildlife removal conventions to stay updated on the new and improved mole removal tactics, traps, different professional mole removal sets and techniques utilized in the Columbus & Union County Cities Dublin, Marysville, Delaware, Worthington, Westerville, Bexley, Grove City, Minerva Park, Franklin County, Grandview Heights, Powell, Hilliard, Upper Arlington, Ohio. Not only do we remove moles from your property when you call, but we will actually take a look up in the attic of your residence to make sure you do not have any additional wild animals thriving in your attic because they can become a real nuisance and a lot of people do not even notice select species in their attic because they are hard to hear. If you listen closely during the summer months, a lot of people will suddenly realize there is an animal of some sort in their attic. 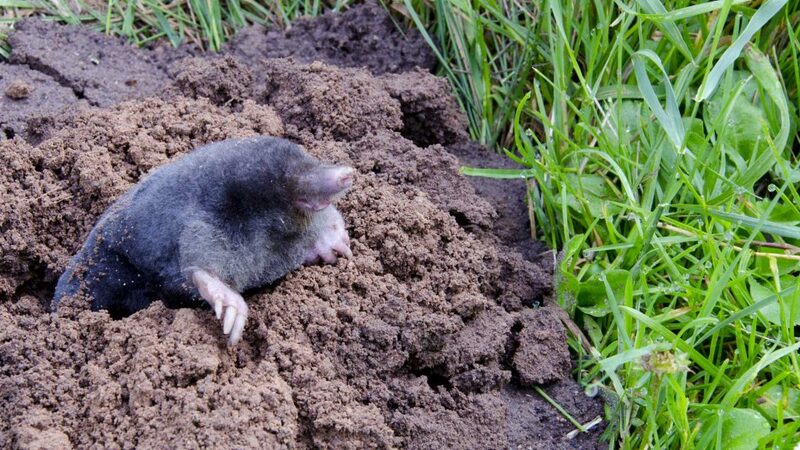 Mole removal is a less common problem that we deal with, but it depends year to year how active the moles are. Another thing to look at is people commonly mistake mole damage from vole damage as well. Voles are also common in Ohio and they will dig in your lawn just like moles causing severe turf damage to your yard. Mole and vole damage is very different. Rat traps also come in handy for vole removal. Integrated pest management takes a different look at wildlife control problems. There is never only one way of dealing with things. It just depends what different wildlife control companies tactics are and what they feel are the best control methods. The service we provide for mole removal is setting traps in the mole tunnel runs as mentioned above. The traps we utilize for moles is the Out O' Site mole trap. 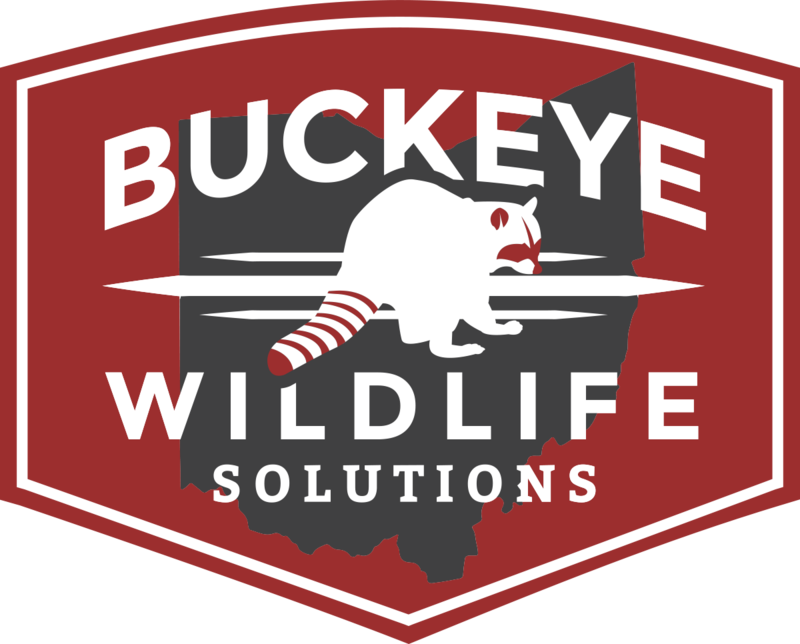 Buckeye Wildlife Solutions also offers wildlife removal services including raccoon removal, skunk removal, mole control, bat removal, and animal damage control from damage caused by mole & other creatures. When we trap moles and remove them, we make sure to wear gloves to keep our human scent off of the mole traps. Moles have a very good sense of smell, and they will dig right around a trap if they smell something suspicious. Call Buckeye Wildlife Solutions for all of your mole removal from yard needs! We service the cities of Dublin, Powell, Hilliard, Upper Arlington, Marysville, Delaware, Bexley, Westerville, Minerva Park, Grove City, Grandview Heights, Worthington, Union County, Franklin County. Once squirrels have established a den site in an attic, they will cause all kinds of damage, such as chewing on electrical wiring and potentially causing an attic fire, depending on the type of insulation and other factors. They also drag loose nesting material into an attic, and this can increase the odds of an attic fire even more. It's estimated that squirrels are responsible for roughly 30-40% of attic fires in the U.S. annually, or about 300,000 house fires caused by nuisance squirrels every year, according to this blog.